Chinese egg fried rice is a very common menu item in Chinese restaurants and a very popular one too.Though its a simple rice and doesn't much time to cook,but still there are a few things to note like the rice has to be just cooked enough and not over cooked.The best way to mix the rice is after chilling for 2 hours.Also,you may use your left plain rice to make a quick dinner or a lunch box pack.So,enjoy the chinese fried rice at home,do try it out !!! -Wash the rice,soak for 15 minutes.Drain and keep aside. -In a pot,add 3 cups of water,salt and bring to boil. -Add the drained rice and cook on medium flame.Put off flame once its cooked.Spread it on a shallow plate,cover & refrigerate until use. -In another pan,heat 1tsp of oil and add the eggs lightly beaten.Scramble it with a wooden spoon and cook until undone.Remove on a plate. -In the same pan,Heat remaining 5tsp of oil,add the minced garlic.Saute until raw smell disappears. -Add the beans,carrots & 1/5 tsp of salt.Toss it well for 5 mins and add 1/4 cup water mentioned.Cook covered on high for 6 mins,uncover the lid.Add peas and toss again for about a minute.The water should evaporate by now,if not dry up the water on high. -Add the chilled rice breaking any lumps,add in the scrambled eggs.Toss it well. -Add pepper powder & soy sauce.Mix well until combined.Adjust salt if required. -Garnish with chopped spring onions & serve with some extra hot chilli chutney or soy sauce !!! * As soy sauce and the cooked rice contains salt,add salt at the end accordingly after checking. * You can use fresh or frozen peas,I have used frozen ones.If using frozen,thaw and then use. * In the same way,you can prepare chicken or prawns fried rice,except that cook the chicken or prawns with water,salt and pepper.Drain the water and add to rice like eggs. Tasty fried rice.Apple orchard photos are nice. Nice tasty fried rice !! looks YUM !! wow... fried rice looks perfect... delicious!! 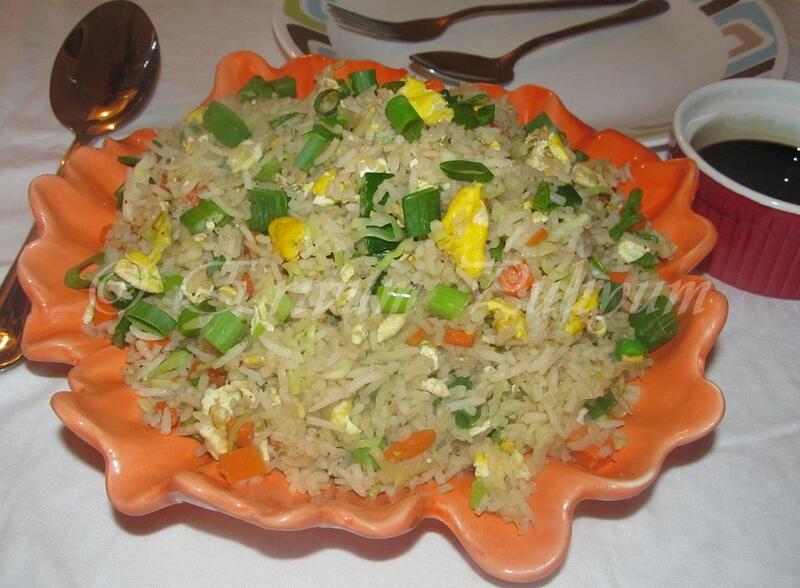 Delicious egg fried rice.. Simple and tasty.. I too make it sometimes..
Easy and tasty fried rice..Thanks for sharing apple photos.. This looks yumm. perfectly made dear. I make this on every Fridays. Today I have this for lunch as well. My hubs fav..Love it. 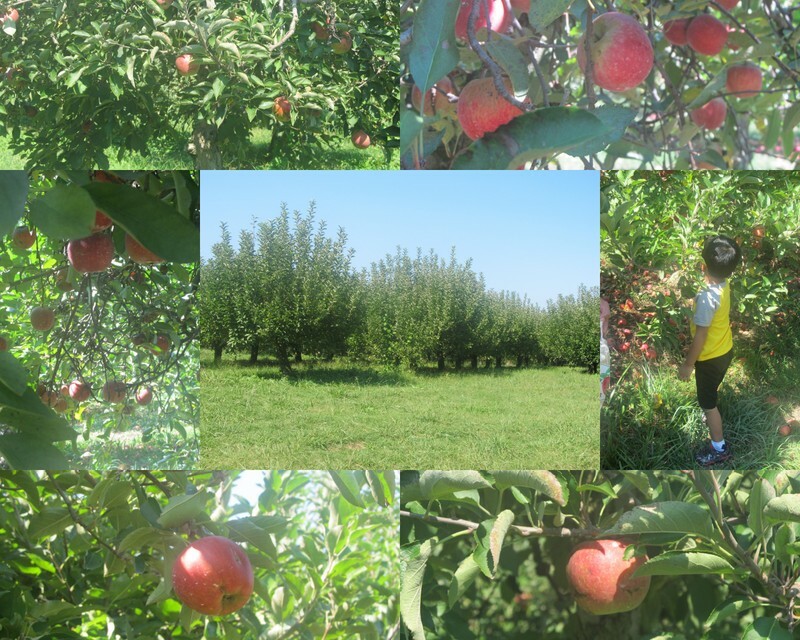 Love the picture of the apple orchard. 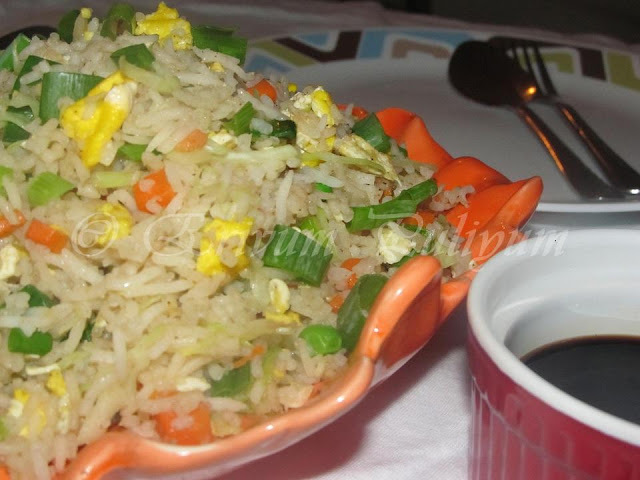 Fried rice looks delicious and mouthwatering. I love this chinese fried rice. Will try your version. Here in Singapore, fried rice is served with pickled green chilli. Beautiful one pot meal Julie love it. Looks very colourful....Love the freshness of the spring onions in it. Since its Ganesh Festival I have not had any non veg in a long time. love this rice preparation. And what a lovely orchid! WOnderfully made and nicely presented...Yummy ! This is dear hubby's all time fav... love it! loved the orchard photos. I have tried this many times (but a different version), could not get it right. this looks good and inviting. Oh yum yum, mouthwatering here! Looks delicious & tempting!